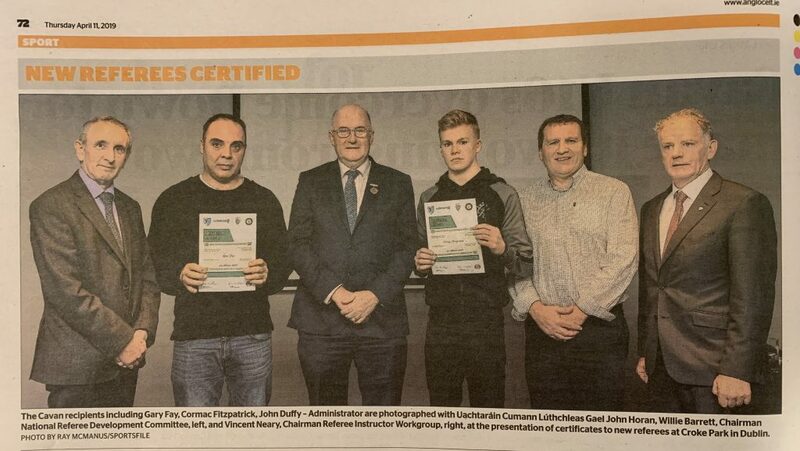 Congratulations to Cormac Fitzpatrick who has received his Referee Certificate. We thank Cormac for taking up this role and wish him the best of luck with it. Great to see this young man taking up this role and representing our Club.